AVG Internet Security Business Edition provide End Point protection for your Businesses. It provide Email Server Security and Spam Protection in addition to all features of AVG Antivirus Business Edition. Similarly, you will have the flexibility to be able to manage your AVG Internet Security Business Edition installation remotely via AVG Remote Admin. It’s World Class Real Time Protection will give your peace of mind against Ransomware, Spyware, Malware, Viruses and Spam. Better protection against even the newest malware thanks to cloud-based Real-Time Outbreak Detection and proactive AI Detection. Our network antivirus helps your employees work with confidence by actively checking web pages before they click through and alerting them if it detects anything suspicious. Data Safe, Encrypt & password-protect confidential business files. Our data safe technology helps encrypt and store your valuable company documents, or other files onto a password-protected virtual disk on your PC. File Shredder, Permanently delete unwanted files. Our advanced File Shredder securely deletes files to help prevent unintended recovery. Email Server Security, Send and receive messages with confidence. Our email server security scans your email for spam and removes suspicious content, code and infected attachments. Ransomware Protection. Protects against the newest ransomware. AVG’s multi-stage ransomware analysis combines static and behavioral tests, sandboxing, and other tecniquest to protect you from cyber criminals. Firewall, Your first line of defense. Our firewall helps keep your business moving because it helps protect against online security threats like spam, viruses, hackers and malware. Smart Scanner. Won’t slow you down. Smart Scanner never sleeps and only scans your PC when you’re not working so it doesn’t get in the way. It does the hard work so you and your employees can focus on your business without costly distractions and delays. File Server Security, Protects your files and business data. Your business files and customer data are critical to running a successful company. Our Windows file server security helps keep it safe, private and out of the hackers’ hands! Identity Protection, Shields passwords and credit card numbers. Being able to conduct online transactions safely shouldn’t be a worry. Our Anti-Spyware helps protect your identity from spyware and adware that tracks personal information. LinkScanner, Surf, search and download with confidence. Our Linkscanner® Surf-Shield checks webpages before they open in your browser and displays a safety rating in the search engine results to help you surf the web with more confidence. Faster control from a single location. Remote management lets your administrator remotely install and configure AVG across your PC devices – and entire computer network – from a single location. AVG automatically updates itself too, so you can always be sure your business is protected against the latest threats. 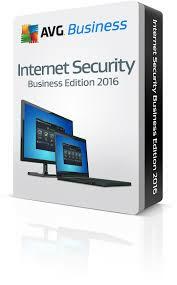 The selling price of AVG Internet Security Business Edition( before GST 6% ) are listed in the links below. The list is for user base up to 200 users. If you need us to quote on larger license with more than 200 users, you can WhatsApp to us at 019-3256289 or call us at 603.89449965 , 018-2374289 or email us.